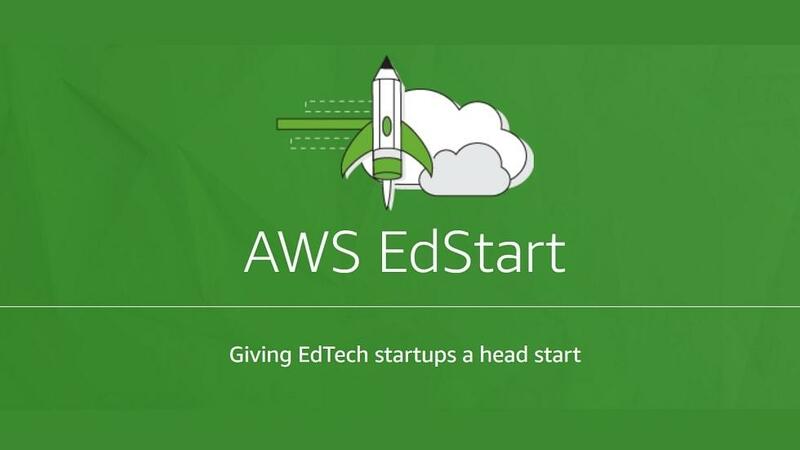 AISPL* announces that AWS EdStart, a program designed to help startup educational technology (EdTech) companies build teaching and learning solutions on the AWS Cloud, is now available to their EdTech customers in India. This announcement follows the program’s launch in Europe, the Middle East, and Africa in April. Startups in India can now apply to join AWS EdStart if they are less than five years old and generate less than $10M USD in annual revenue. Applications should include a plan for an innovative solution for students, teachers, or administrators that solves a current problem and/or disrupts current educational models. Teachers, students, and institutions across India can benefit from technology that enhances the quality, affordability, and accessibility of education. AWS EdStart’s launch in India can help EdTech companies grow and scale rapidly, and provide learning and teaching resources to even the remotest areas of the country. If you've got a big idea for a company that can change education, apply for AWS EdStart today! Quizizz, a current AWS EdStart member that has expanded into India, is actively working with Indian instructors to bring education solutions to the country. Quizizz is a multiplayer-quizzing platform designed for classrooms. It helps teachers to conduct a quick assessment for their students as a game. The platform aims to get students excited about learning while also giving teachers performance data in real time. Quizizz started their journey working with underserved students attending the Pakirama Foundation schools in India. They worked closely with the teachers and students on different ideas to help motivate students with technology. Quizizz launched its first online product based on their work with the Indian students. Since then, Quizizz has used AWS to scale internationally, reaching students in India, in the United States, and beyond. “The technical support and mentorship from the AWS team helped us architect our current application and migrate it to containers. This significantly reduced our server bill and DevOps work,” said Ankit Gupta, CEO, Quizizz. Quizizz is just one of the many AWS EdStart members revolutionizing education. Visit their webpage to learn more about the other AWS EdStart Members and how they are transforming education globally. If you are interested in applying for AWS EdStart, please visit the application page for more details. *AWS EdStart is provided and administered in India through Amazon.com subsidiary, Amazon Internet Services Private Limited (“AISPL”).